Most of you know you should back up your data, but, for some of you, it stays on that to-do list until it’s too late. This is a hard and costly way to learn a lesson. It’s worth asking: what is preventing you from implementing a successful backup strategy? Something we’ve noticed here at Symantec is that many SMBs are struggling to understand what backup products and strategies will meet their needs. There’s no one-size-fits-all in backup, and what works for one business may not for another. Our strategy for delivering backup to SMBs is to provide you with flexible options, so you can pick the right solution that best fits your environment. To help in your decision-making process, below is an initial overview of the different types of backup solutions to help you determine what’s right for your business. 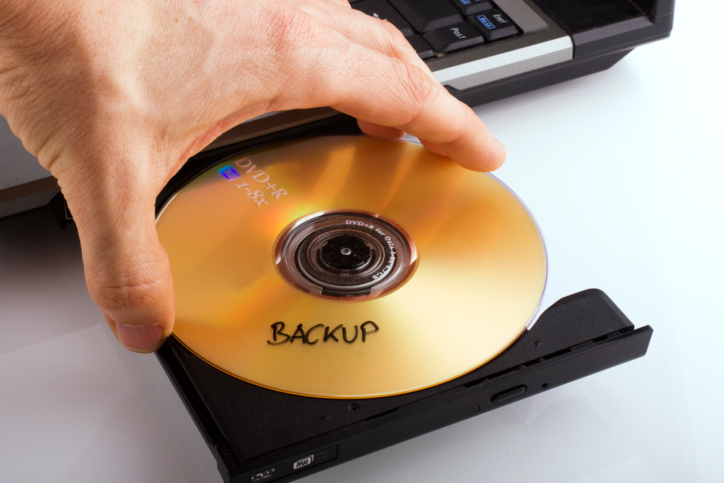 Backup Software is often best suited to businesses that have a preference to back up data on-site and would like the option to replicate data to another office, cloud infrastructure or simply send a replicated copy off-site via a disk or tape for disaster recovery. The benefit of having data onsite is that the recovery time is much faster than having your information at another destination. Software also requires someone locally to manage the setup and ongoing management, and to assist with integrating the software into the current technical environment. Instead of needing to buy or upgrade new storage hardware, software solutions very easily support the existing infrastructure. Backup Appliance is great for SMBs that also have a preference for on-site backup and recovery but have not yet invested in storage hardware or are looking to upgrade their storage hardware. A backup appliance is an all-in-one machine that unites backup software with the storage environment in one easy-to-deploy solution. Small businesses considering this solution should also consider buying their software and hardware together. An appliance is ideal for businesses with an IT staff of only one or two people and for businesses that are hardware-agnostic, meaning they haven’t standardized their business on a specific storage hardware. A backup appliance option touts reliability and efficiency since the vendor works to ensure the software and hardware are always working together through patches and software updates, etc. Finally, appliances, like software solutions, can also back up locally/on-site and then create an additional copy of that data to be stored either at another office or on a cloud infrastructure. Cloud-based/Hosted Backup products are suited to smaller businesses with several servers and computers to protect. This time last year, cloud computing was simply an upward trend. Not anymore. The cloud’s not just moving in — it’s raining down in full force as more and more businesses are realizing the ease of doing business through the cloud. Best for companies where IT is often overtaxed or where there is no on-site IT staff, cloud-based backup provides an easy way to backup local applications and data sets — continuously — to a secure hosted infrastructure with disaster recovery when it’s needed. Cloud backup solutions are designed for those who don’t have any desire to get their feet wet in storage hardware and prefer the benefits of software-as-a-service (agility, low initial price, pay-as-you-grow). You can set it up in minutes and feel confident that your data is protected and available for recovery at any time. Additionally, cloud-based backup is a quick and secure way to protect remote offices or a mobile workforce that lack an automated and reliable recovery strategy. Backup solutions — whether they are software, appliance or cloud — allow you to rest easy, knowing that your data is securely backed up and easily recoverable. Instead of worrying about your backup strategy, you can do what is most important to you: run your business.